People in Nigeria are using British Airways to ‘deliver’ them pizzas from London, the nation’s Minister of Agriculture has complained. 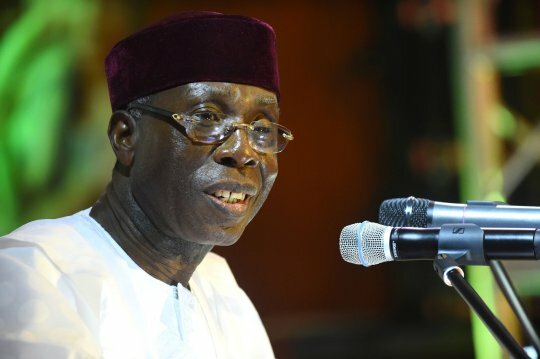 Audu Ogbeh, 71, said that Nigerians are ‘using their cellphones to import pizza from London’ as he addressed the Senate Committee on Agriculture in Abuja. The Nigerian government is currently trying to curb the importation of goods, which they say is too high and damaging the country. ‘Nigeria is a nation of importers. toothpick every year costs us 18 million dollars; tomato paste costs us 400 million dollars,’ Mr Ogbeh said. Social media users have since taken to Twitter to react to the idea of people ordering pizza 4,000 miles away from London. ‘Dear @British_Airways, how come you didn’t tell us you run a pizza delivery service to Nigeria? Is there an app for this?’ one person joked.